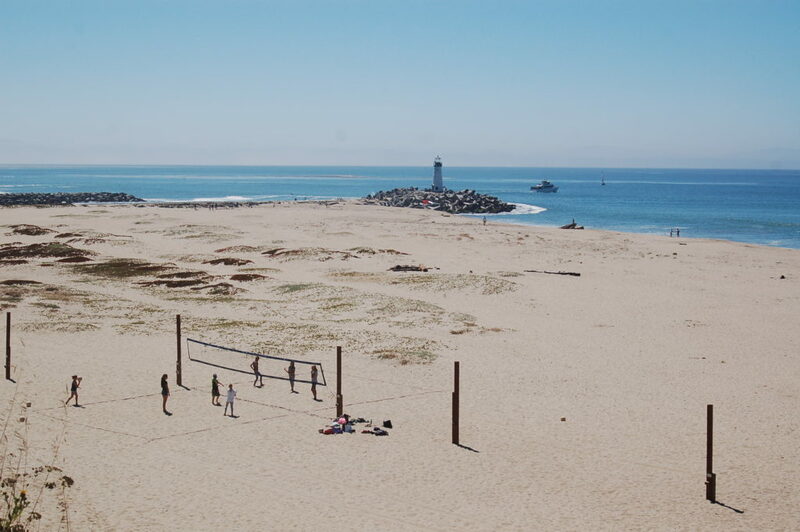 This is a long sandy beach between the Boardwalk and the Santa Cruz Harbor. 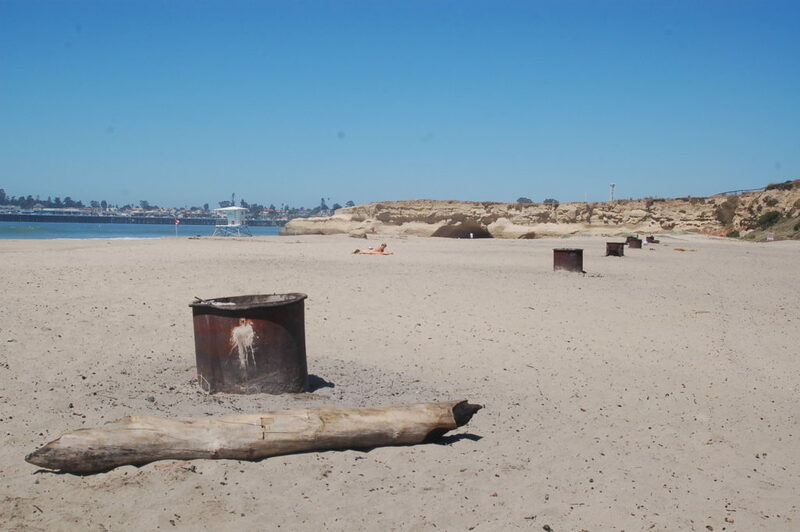 Day-Use Area 6 a.m. to 10 p.m.
Seabright Avenue at East Cliff Drive marks the center of this south-facing beach. Parking and beach access is available at the west end of East Cliff Drive near Alhambra Avenue, Mott Avenue and at the end of 3rd Avenue. 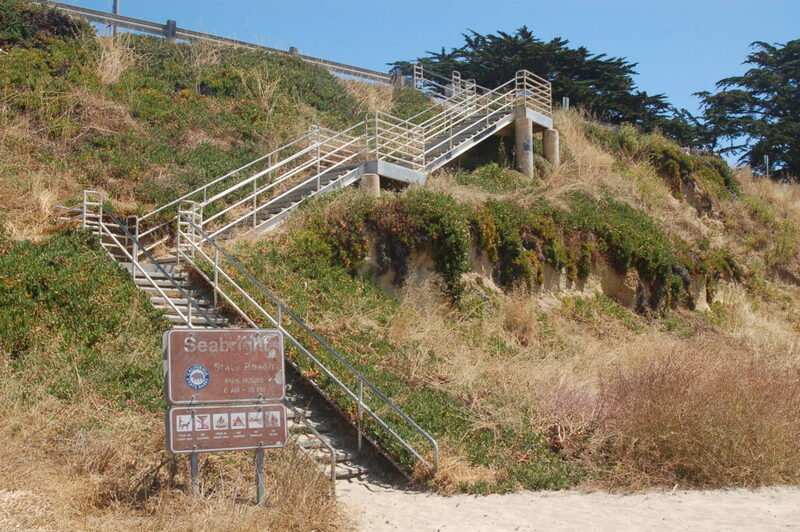 By Bus: Take Santa Cruz METRO routes 68, 91x to 68, 69W to 68, or 69W to get to the beach. Visitors enjoy sannd volleyball, swimming, surfing, windsurfing, fishing and paddle boarding. There are fire pits for use, first-come, first-served. Parking is free on surface streets in the neighborhood. 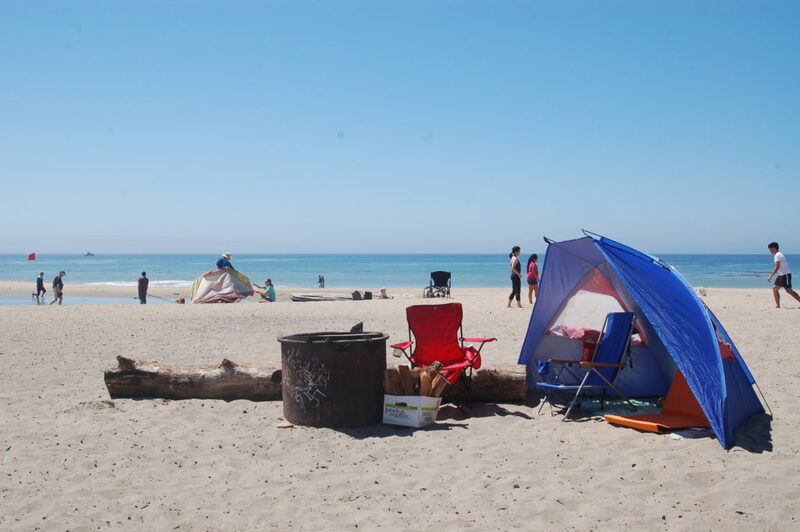 A sand wheelchair is available for use here or at nearby Twin Lakes State Beach — learn more in the Hilltromper Beach Accessibility Guide. The area was once known as Castle Beach, named for a now-gone landmark, the Castle. The Castle was first built around the turn of the 20th Century by James Pilkington as a bathhouse. Over the years it was added to and operated as a restaurant and art gallery before it was demolished in 1967. 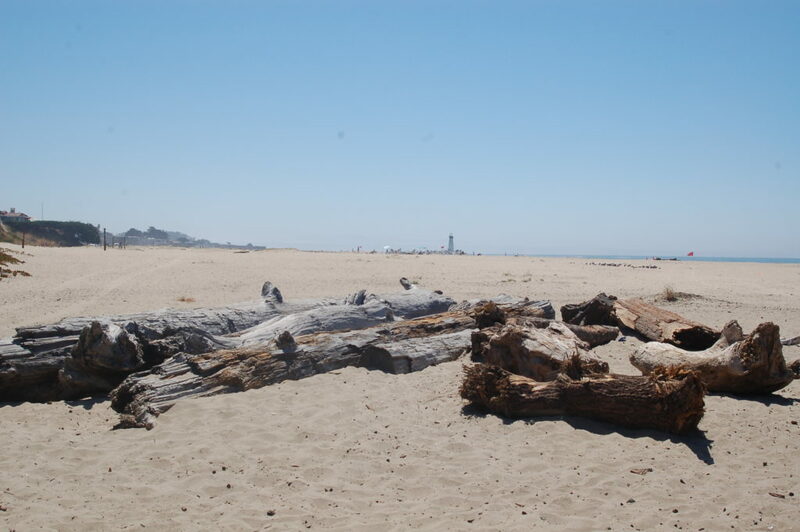 Seabright Beach is a unit of nearby Twin Lakes State Beach.